Grand Canyon: Final Preparations are complete! 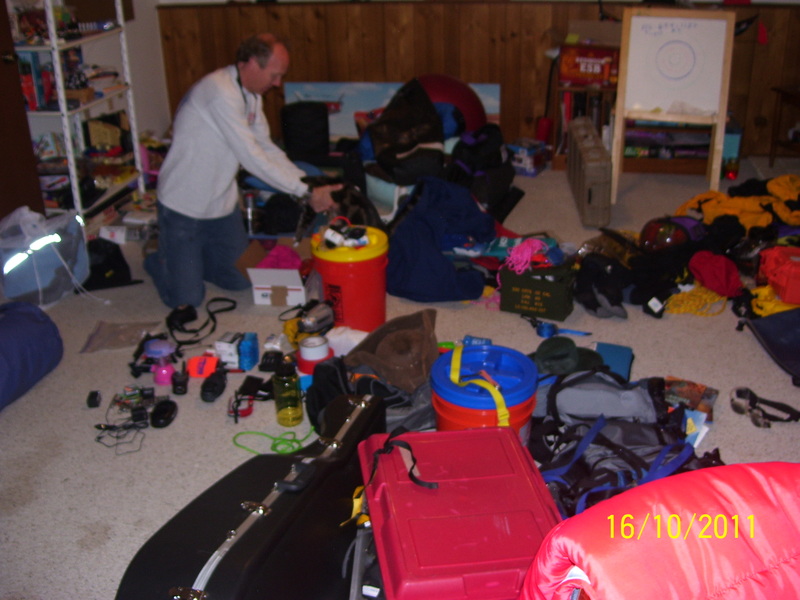 All the gear is laid out and ready to be packed into the truck. We’re finally ready to start the adventure. Actually this story began October 10, 2008. I was leaving to go on my first Grand Canyon adventure when my 9-year-old daughter begged to go with me. “No honey” I said, “not this time. I need to check it out before I bring you. But I promise I will take you the next time I go.” I had been on the waiting list for 12 years before I got my 2008 permit. That was the last year before the National Park Service switched to a lottery system for awarding permits. (You can apply for a permit too. See the National Park Service website for details: http://www.nps.gov/grca/planyourvisit/whitewater-rafting.htm ) I had no idea I would win a permit through the lottery just 2 years later! Well, I promised Ariel I would take her the next time I went, so at age 12 she’s going to get the opportunity of a lifetime (and she will get out of school for 2 whole weeks!) I will be on the river for 3 weeks and away from home for a full month, but 2 weeks is long enough for her. She will take out near the halfway point, at Phantom Ranch, the only place where it is possible to hike out from the river once you’re in the Canyon. Her mother will take her home from there. I cleared it with the school the day after I won the permit. I will be working with her teachers to get as much of her work done beforehand as possible. The rest she will make up when she returns. Though my October 25, 2011 launch date was awarded in February 2010, I couldn’t commit to going on this trip until April of this year. That left only 6 months to assemble a team of 14 more people (a permit is for 16 people), help them prepare for the trip, get the group equipment rented, the menu secured and a shuttle to/from the river with an outfitter, not to mention doing all the personal preparations for me AND Ariel. The most important part of being a trip leader is selecting a good team. Having only 6 months to do it made building the team even more difficult. At least 6 people had committed to the trip only to have to cancel later. One person even had emergency surgery. The final members were added to the trip less than a month before the launch date. It’s going to be interesting. I would normally take more time and get to know everyone better before inviting them on an expedition like this. Group harmony and teamwork are critical to having a successful and enjoyable trip for everyone. Only one person from my first trip is able to go this time. No surprise. How many people can get 3+ weeks off from work, much less do it twice in 3 years? So I’m working with a whole new team. This time I am relying on the judgement of the members I already know to make good choices about the people they recommend. There was a lot of “well I have a friend who knows someone who might like to go…” But from the discussions I have had with everyone, I’m comfortable with the team. It has been an intense 6 months, but I believe all of the planning and preparations are finally complete. The crew is set. 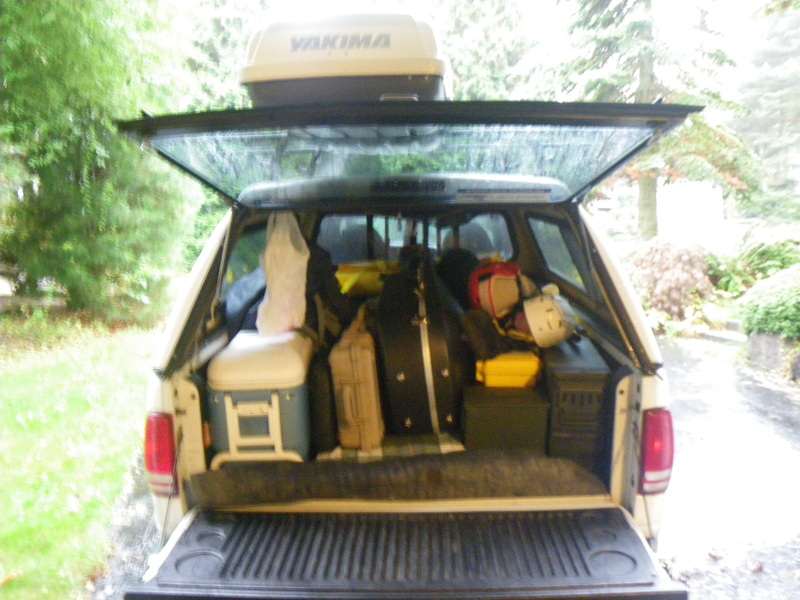 The outfitter has received our final payment for the equipment rental (4 x 18′ rafts, kitchen equipment, groover, meals for 21 days for 16 people and other miscellaneous gear and shuttle service to/from the river.) The trip itinerary is complete with our target campsites and planned hikes while on the river. The emergency contact plan is set for all trip members. The truck is prepped and ready with a fresh oil change, new roof rack, and new stereo. Ariel’s gear is ready including new gaskets for her dry suit, a new sleeping bag, a hard case and a custom dry bag for her cello (yes her cello is going too!). I have a new dry box for my violin. My friend Steve, who plays violin for the Seattle Symphony and has rafted the Canyon 23 times(!) with a string quartet, even told me of all the best places to play our music, effectively an acoustical map of the Canyon. I borrowed a video camera (mine was damaged on the previous trip.) Logistics for hiking out to meet Ariel’s mother have been set. There will be no way to communicate with her once we set off from Lee’s Ferry until we are face-to-face at the South Rim trail head 9 days later. The refrigerator and pantry at home have been emptied of all perishable foods. I even got a haircut. There was much more to prepare the group and myself, but you get the idea. It’s not as simple as a weekend getaway with the wife and kids. Tomorrow morning I will be giving a speech at Toastmasters, go to work to wrap up loose ends, then leave early to get Ariel after school and head out of town. Oh, wait. It’s 10:00 PM and I still have to load everything into the truck! Guess I’ll have to finish preparing for my speech while I load up. Tomorrow the rain is supposed to come. Looking forward to putting Seattle in the rear view mirror. I just returned from my adventure as trip leader, taking 16 people on a rafting expedition down the Colorado River through the Grand Canyon; 21 days, 226 miles. It was an amazing journey that explored the geologic depths of the Earth exposed by The Canyon like a biology student examines the internal organs of a frog through a scalpel cut. Yet this expedition was as much about delving into personal introspection and group dynamics as it was about examining the physiology of the Earth. They always are. An expedition is defined as a journey undertaken for a specific purpose, often exploratory or scientific in nature. While the intentions of these 16 people may have been purely for recreational purposes, the result was much more for everyone. 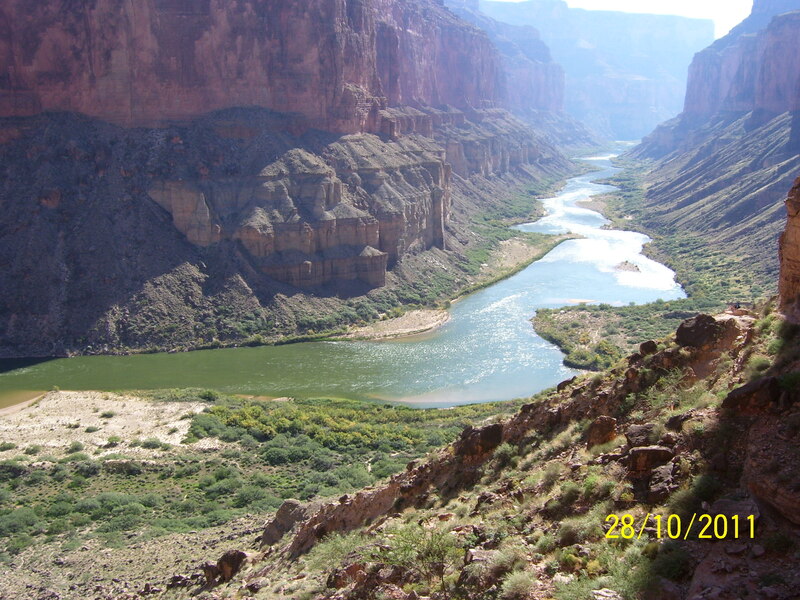 A rafting expedition through the Grand Canyon has many facets: the amazing scenery; the hikes through stunning side canyons; the remoteness and what I would call protection, rather than isolation, from the outside world; the simplified lifestyle; the camaraderie of living closely among friends; the quiet time for personal reflection and introspection; and hours of relaxing drifting on calm water with the occasional brief moment of Adrenalin anticipating the next big rapid just to remind you you’re alive. Then there are the elements that aren’t discussed so much: the risks off the river; the hard work; the conflicts; the dry skin; the group dynamics generated from living so closely with and depending on a small group of people for your survival. These are the elements that differentiate a Grand Canyon expedition from a vacation in Hawaii.